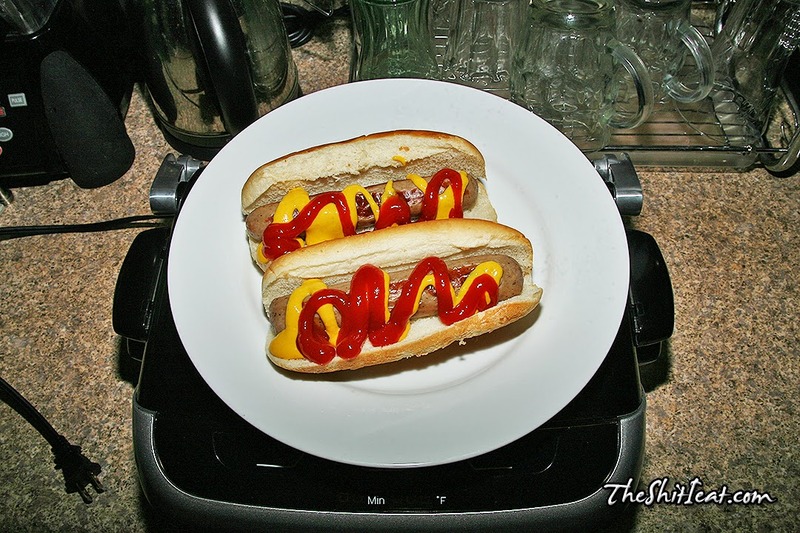 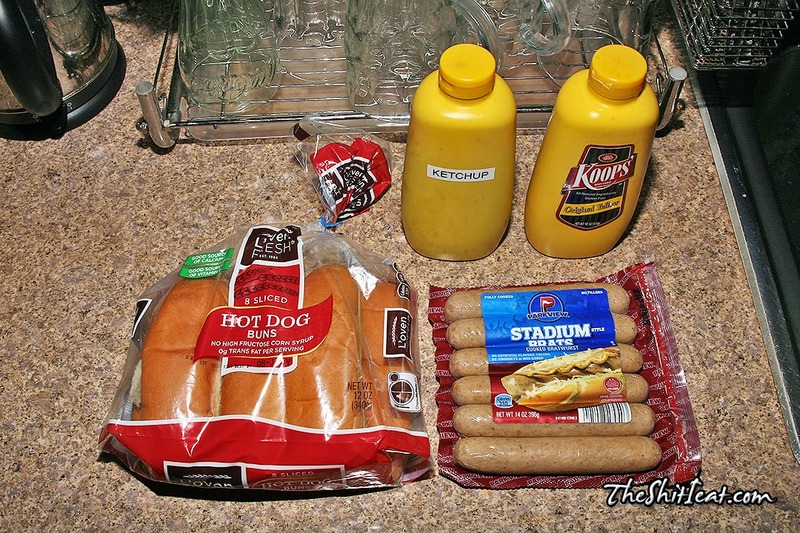 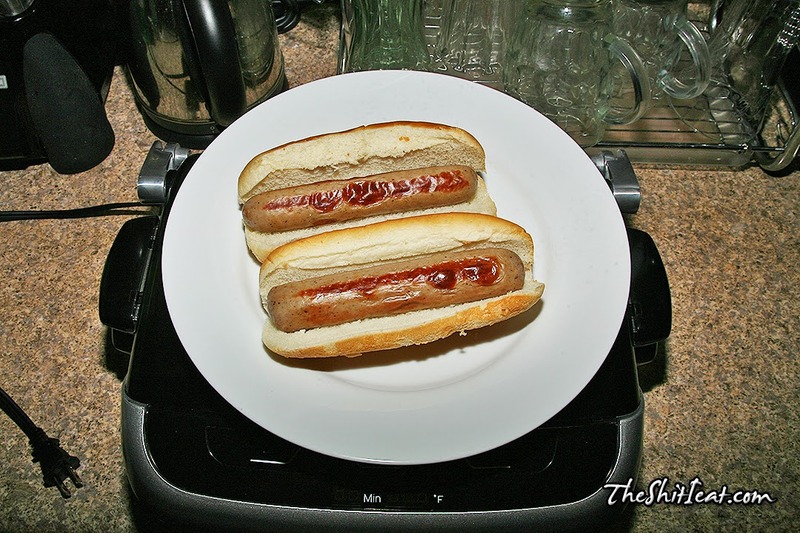 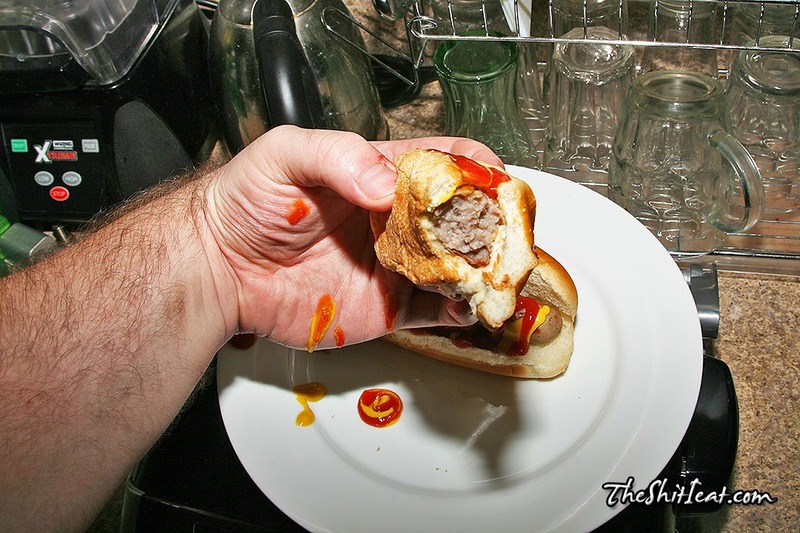 Found this in near-perfect condition [with box and all basic accessories] George Foreman grill in my building earlier this Summer, so I made these mustard and ketchup hot dogs with the stadium brats that I got over at Aldi. 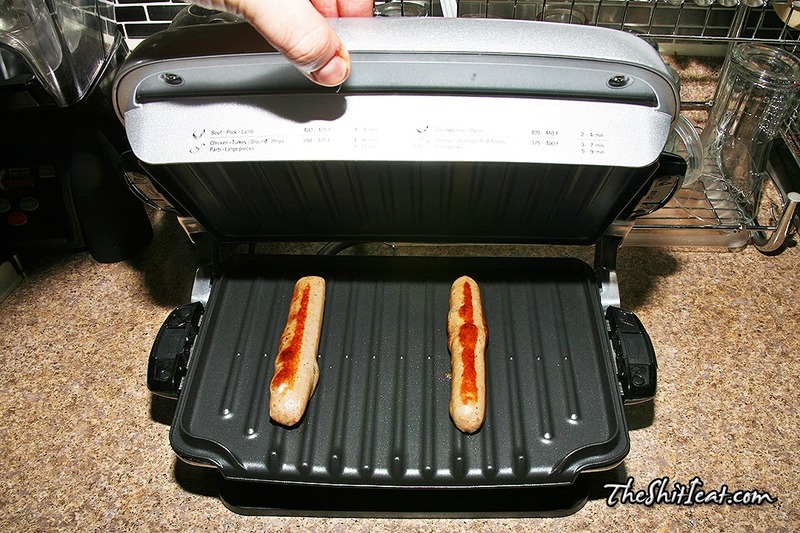 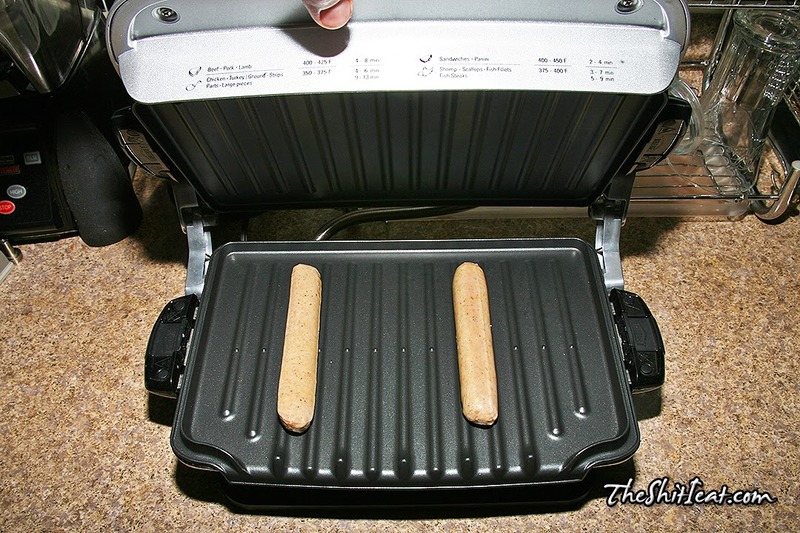 The machine is really good and brings out great flavor to the meat. 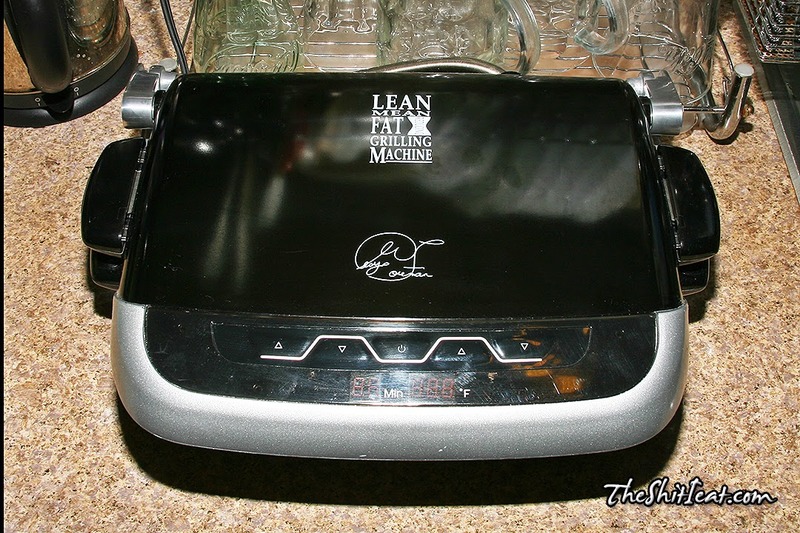 The only downside of it is that it has to warm up and is rated at around 1,500-watts.